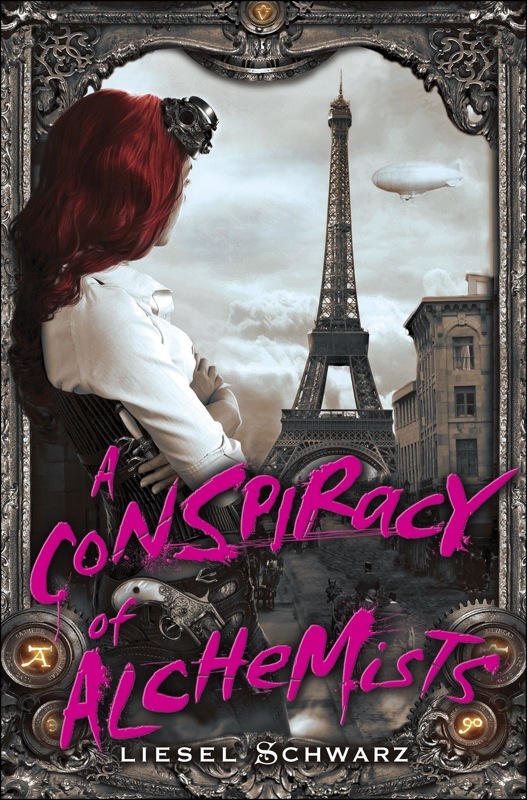 Earlier this month I read Liesel Schwarz's A Conspiracy of Alchemists, an imaginative steampunk romantic adventure. 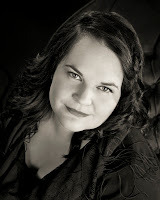 I'm thrilled to share my interview with Liesel, so read on to learn more about her and her writing. Be sure to enter the giveaway at the end! I am very fortunate in that I can write anywhere, any place and any time. Sadly, I have developed this skill because life is so hectic and there is so little time to write. I do have a special mug though and no one is allowed to drink from it, because it's my writing mug. Was A Conspiracy of Alchemists the original title of your book? The book was initially titled 'The Oracle Conspiracy' but this is a bit of a mouthfull, so I changed it. As you were writing A Conspiracy of Alchemists, was there a particular scene or character that surprised you? The absinthe fairy was a bit of a surprise. I never thought she would grow to be such a big character. She is one of my favourites though. According to your bio, you're working on your doctorate. How was/is juggling creative writing and academic writing? I am a lawyer by trade, so switching between writing styles isn't really that much of a problem. I think academic writing is sometimes easier, because you are allowed to be dull. The footnotes and references are a pain though and I do prefer writing fiction above all else. I have many interests, but I love animals and I like to be outdoors, so I try to get out camping or hiking whenever I can. I am definitely a cat person. Ooh, a few. I recently received an advance copy of The Shining Girl by Lauren Beukes which was brilliant. E.J. Swift's Osiris is an excellent read too. Learn more about Liesel Schwarz at her website. She's also on Facebook and Twitter. I'm thrilled to offer a copy of A Conspiracy of Alchemists to one lucky reader! To enter, fill out this brief form! Open to US/Canadian readers, ends 4/5. I'm excited for the sequel, too! I like that she has developed the ability to write anywhere, and anytime, and I think it's neat that she still uses some of the same elements of her first stories in the ones she writes now. I definitely want to read this one at some point, and this interview was lovely to read!